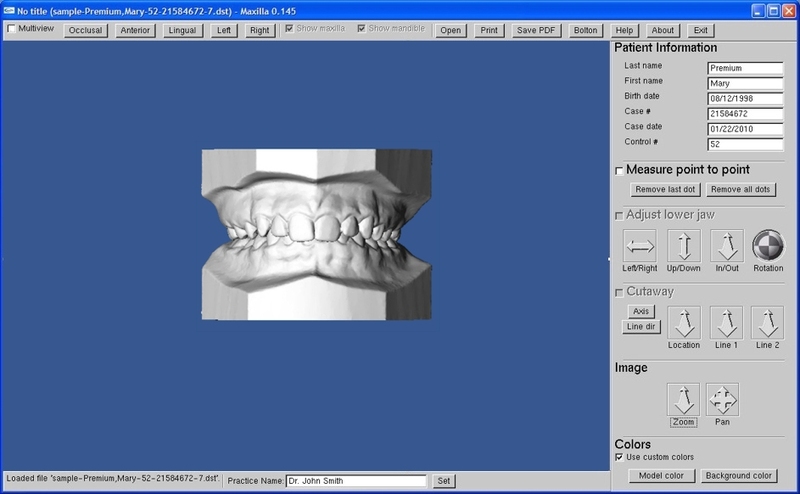 Ortho-Graphics Maxilla is a new, Windows based application for viewing and storing study models on your computer. It works with XP, Vista, and Windows 7 operating systems. Models can be easily accessed online for study or used as a visual aid during patient consultations. With simple click and drag moves, the models can be completely rotated and viewed in any direction. You can also print an ABO multi view sheet for any patient. Many other basic features are also included. 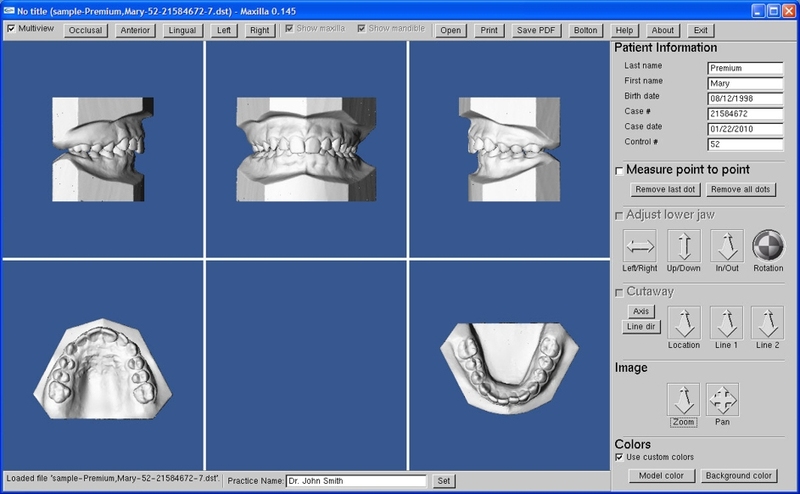 How Does Ortho-Graphics Maxilla Work? Impressions are still taken in the normal way and sent to our laboratory. We then fabricate study models and scan them with our non-destructive laser imaging system. The result is an exact duplicate of the study model in the form of a digital 3D image that you can access via any pc with an internet connection. No longer is it necessary to wait for models to be returned from the lab. No longer is valuable office space wasted storing thousands of sets of plaster models. Forty years of experience creating study models gives us a unique background for this remarkable new application. easily display some examples of post treatment results.